When we travel, inevitably we bring our domestic notions of correctness with us. 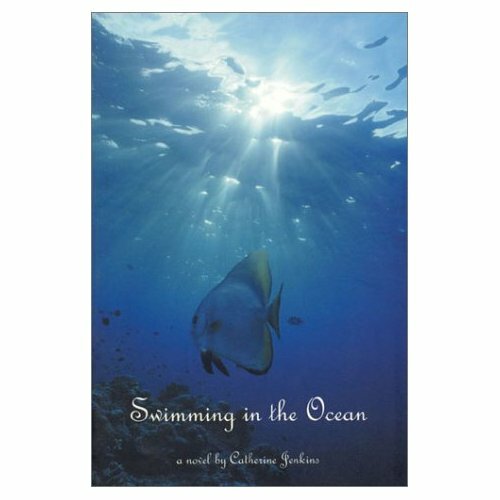 We all have our prejudices; whether we care to admit them or not is another question. My most profound moment of ethnocentrism occurred when I was standing naked in a B&B bathroom in rural England, trying to figure out how to coax hot water from yet still another unique shower system. I caught myself thinking, “Why can’t the Brits do this right? At home, or anywhere in North America, I can simply turn on a tap and, hey presto, hot water! 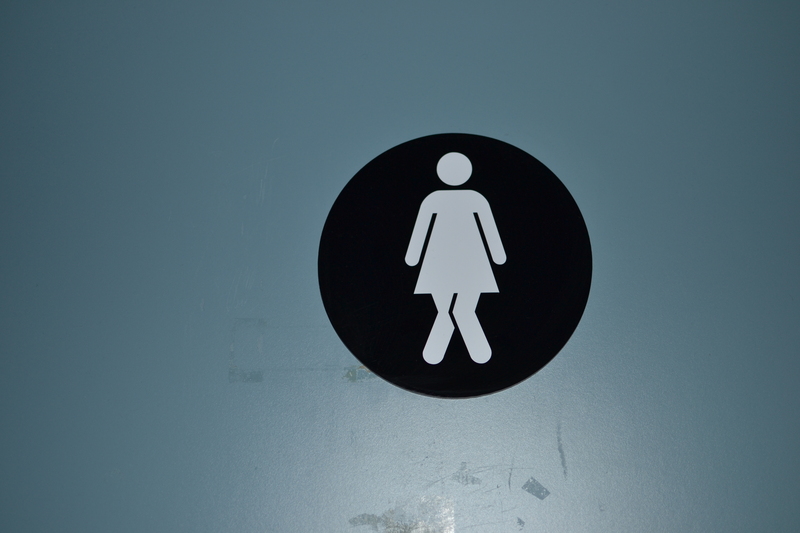 What’s wrong with these people?” Most British bathrooms use on-demand hot water systems, which are considered a more frugal use of resources; however, no two systems operate quite the same way. And most British homes are not well enough heated to want to stand around naked figuring it out. 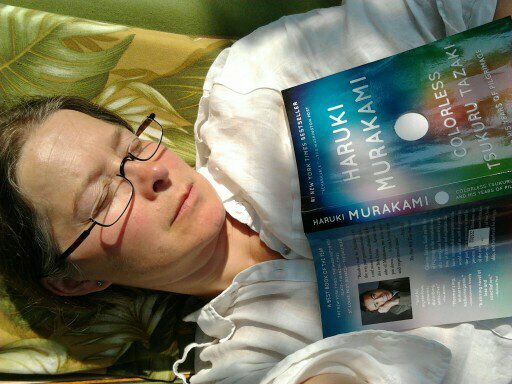 The moment passed quickly, and I found myself smiling at its triviality. When one travels, if one is open, one also sees and experiences things that are unfamiliar, but actually much more civilized than one is used to at home. 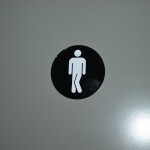 The hotel signs in Bergen, for instance, were much more entertaining than those I’ve encountered anywhere else. 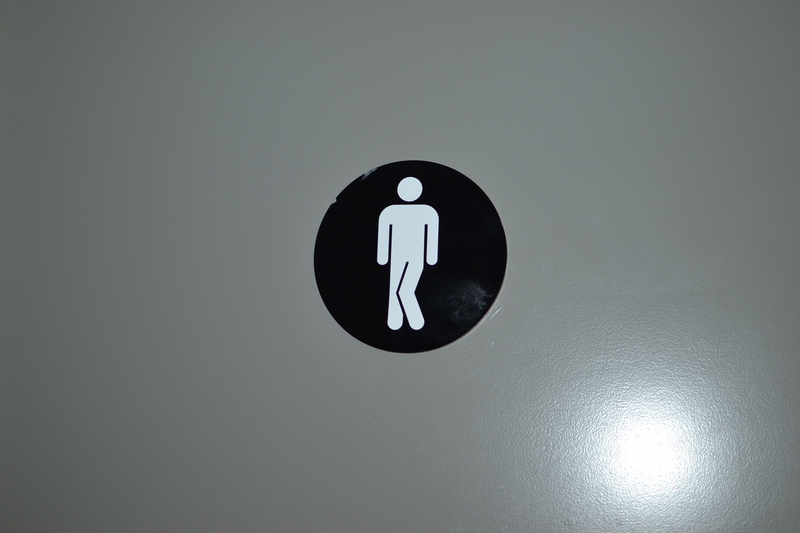 Similarly, many Bergen public washrooms signs exhibit a humour one does not usually associate with public washrooms. The Norwegian sense of humour is apparent in such gentle touches. Traffic in Lisbon was truly scary. Both vehicles and pedestrians view traffic lights as vague suggestions for maintaining order. In the main tourist area, traffic lights were often out, and people unfamiliar with the city skittered across many lanes at speed, trying to avoid injury. Lisbon, however, also featured the most civilized public washroom I have ever encountered. Not only was it immaculately clean, but as well as the requisite toilet, it also featured a bidet. 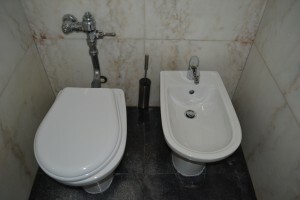 A bidet in a public washroom. In other places, sanctioned attempts at formality may be tempered by members of the public. This is notable in graffiti, which I often photograph when travelling. 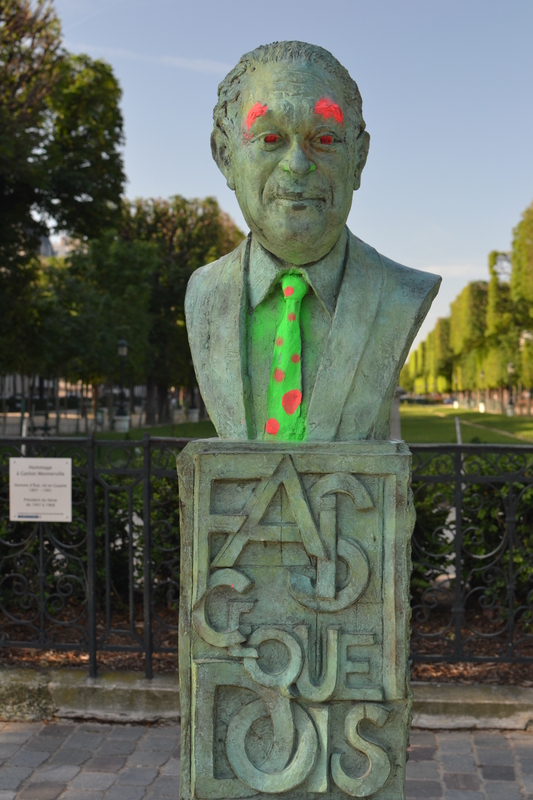 One of the most striking examples I’ve seen was this bust in a Paris park which had been augmented, perhaps as a political statement. Venice is, without doubt, one of the loveliest cities I’ve travelled. 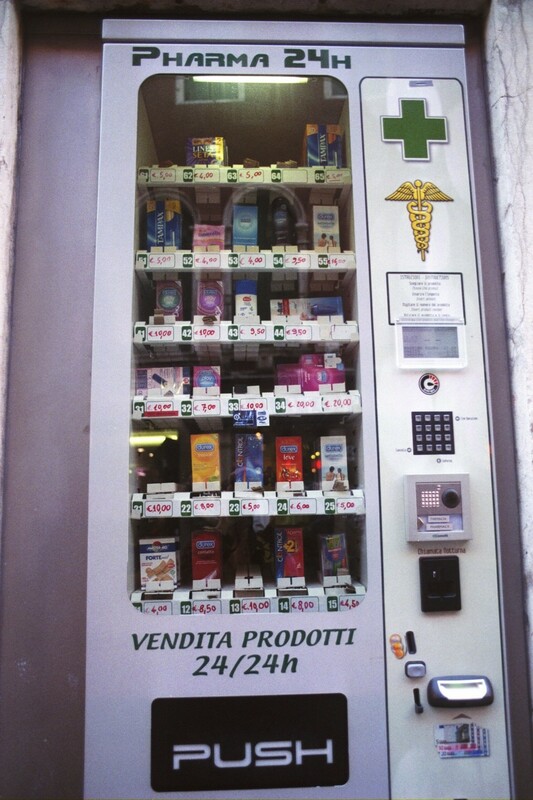 A city with a rich pharmacological history, it still features many drugstores, both modern and vintage. 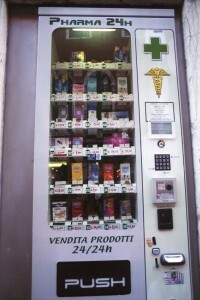 In case you can’t find one open, 24-hour vending machines can fulfill your needs. These appear, inset into ancient walls, throughout the island. 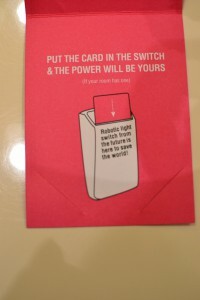 The contents include feminine hygiene products, but are generally heavy on condoms. Travel seeds new ideas by challenging one’s “normal” comfort levels and reference points. And that’s a good thing. On return, new, perhaps unique, possibilities open for consideration. 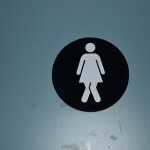 This entry was posted in journal, Social Commentary, Travel and tagged Bergen, lifestyle, Lisbon, Paris, UK, Venice on June 30, 2015 by admincj. I left Toronto with a full yellow-orange moon rising on the horizon. Descending into London at daybreak, I saw either a sun-dog or a moon-dog, but couldn’t tell which. Time travel, i.e., travel between time zones, creates that kind of confusion. The Thames wound into the distance of an intense peach skyline, as an armada of lights escaped Heathrow one after another. 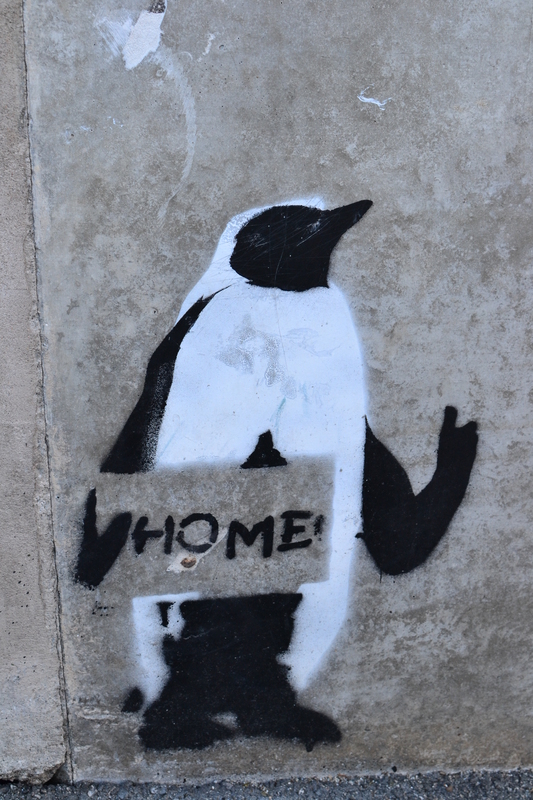 After a brief stopover at the airport, I was on to Lisbon. My introduction to Lisbon was the man on the subway playing accordion with a Chihuahua perched on his shoulder, a little basket made of a pop bottle bottom and string dangling from the dog’s tiny mouth eager for donations. 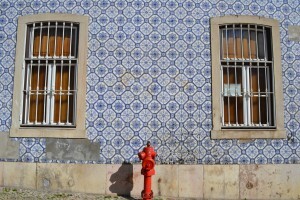 Lisbon is rich in history, but its present is pretty threadbare. 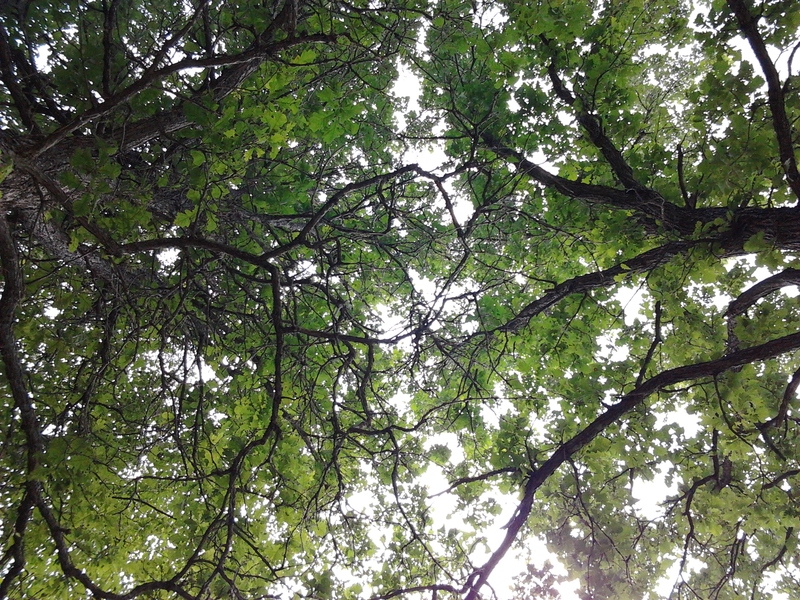 The conference papers were strong and in tune with my work, but sitting outside drinking Linden tea under a green canopy in the scent of White Jasmine and blinding sunshine (after the rough winter we’ve had), that was glorious! I stuck with the conference, but took advantage of Saturday afternoon-evening and Sunday to explore. My hotel was near the conference site, outside the downtown core, on a street not shown on any map. Lisbon defies mapping, and even the locals seem confused by its layout. It’s a medieval city, and apart from the Baixa, a district that was razed and rebuilt, it has maintained its labyrinthine illogic of narrow laneways. 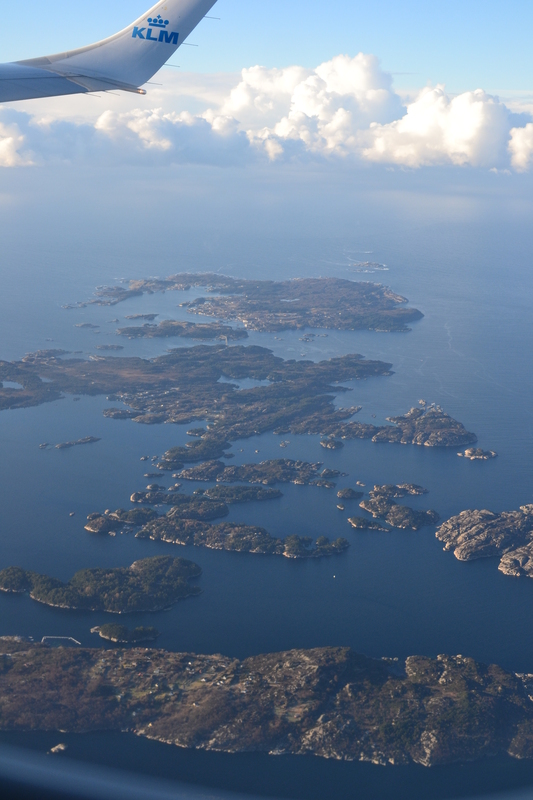 Adding to this is its hilly terrain, and a tendency to build upwards rather than outwards. I like to explore on foot, but Lisbon is not optimal. 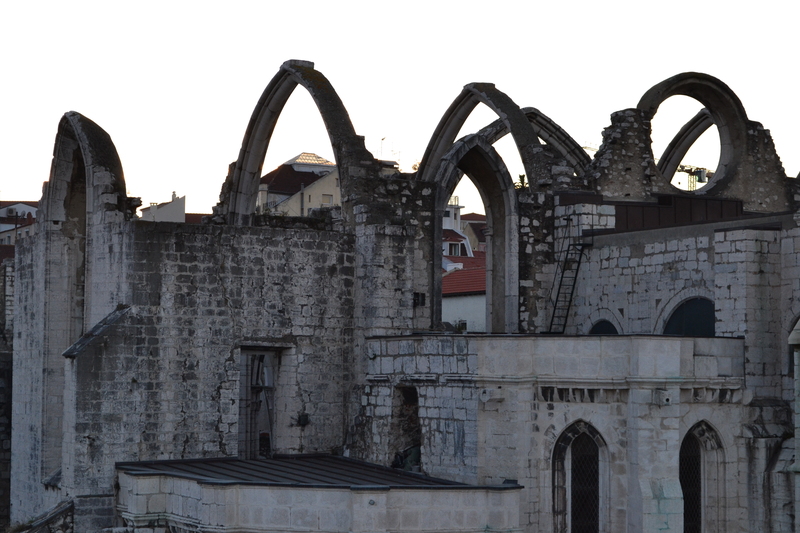 I set out in search of the Castelo de São Jorge, but never succeeded in entering its grounds. How can you lose a castle? Especially one that size, perched high on a rock, right downtown? You’d be amazed. I caught a few glimpses, but by the time I found the entrance, it was closed for the day. 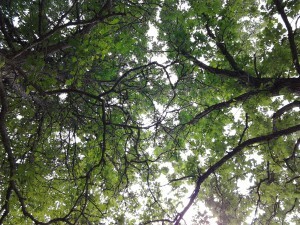 Undeterred, I continued my exploration. I found my way to the Tagus riverfront at the edge of the Alfama district, and then continued into the Baixa, the tourist quarter. Most cities keep their active seaports away from tourists, but not so in Lisbon; here, they overlap. In the Praça do Comércio, an enormous open square and former site of the royal palace, signs abound warning tourists to beware of pickpockets. In the square’s centre, a statue of King José I rides, and an enormous arcade and triumphal arch open into the city’s streets. This area, rebuilt in 1755 after the earthquake levelled much of the city, is on a grid pattern, making it much easier to navigate. The Elevador de Santa Justa is located between the Baixa and Chiado districts. It was built by Raoul Mesnier du Ponsard, a student of Alexandre Gustave Eiffel, and opened in 1901. The elevator’s wood and brass interior speaks of its provenance. From the Elevador’s high viewing platform, I was finally able to see the castle; the Igreja do Carmo, a ruined church that reminds Lisbon of its tragic past; and much of Rossio and the Baxia. 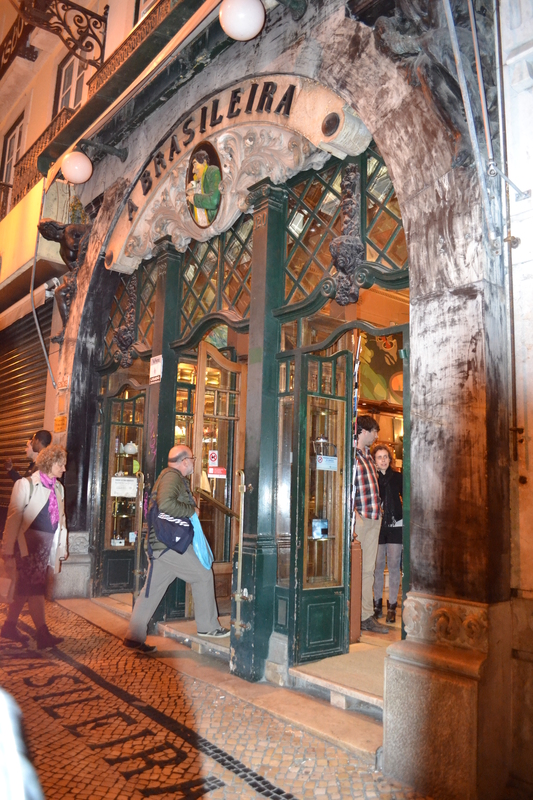 Continuing into the Chiado quarter, I ate a light supper at the Brasileira, an Art Deco café once favoured by artists and intellectuals. After the main course, I had my first pastéis, a small custard tart made with phyllo-like pastry, its top burnt like crème brûlée. It was good, but the one I had later in Belém was better. A life-sized bronze statue of Portuguese poet Fernando Pessoa sits at a table outside, still haunting the café where he once wrote while enjoying a smoke, bica (Portuguese coffee) and absinthe. 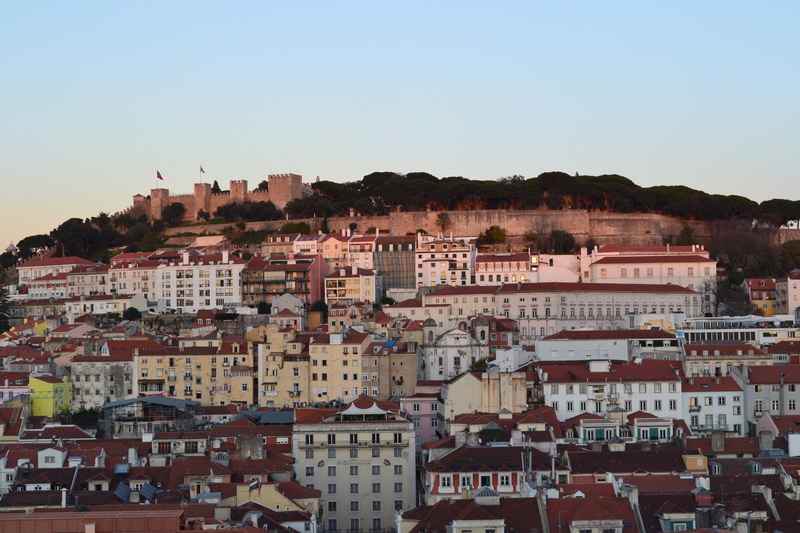 I took a cab back to the hotel—the best way to get around Lisbon. The cab’s radio played Canadian Bryan Adams’ “(Everything I Do) I Do It for You,“ making me feel like it is a very small world indeed. 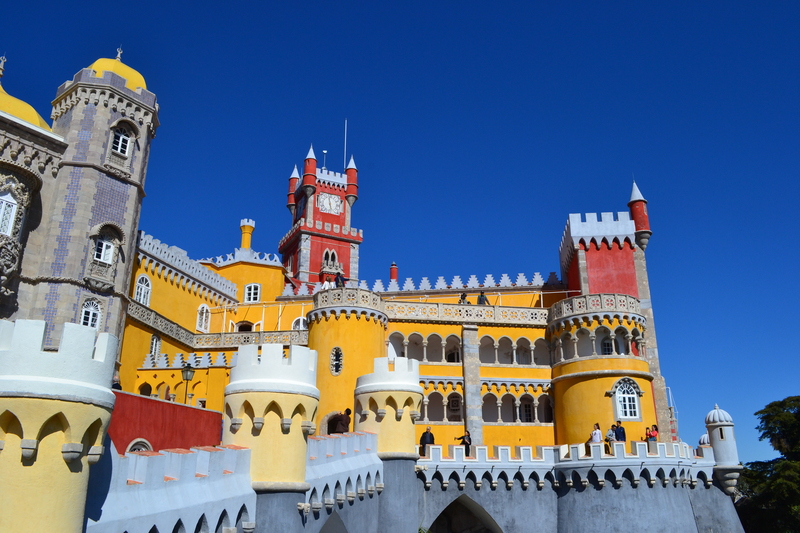 Sunday marked my excursion to Sintra, a brief train ride beyond Lisbon. Similarly to Toronto, in Lisbon the subway doesn’t open until 9 a.m. on Sunday, but I was still able to catch the 9:40 train to Sintra. 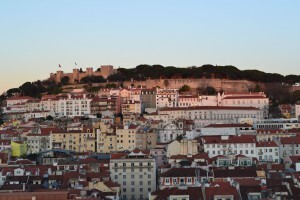 Lisbon sprawls, with miles and miles of apartment blocks in varying shades of white with varying shades of red tiled roofs, occasionally broken up by fields, cows, and quarries. There’s no sense of leaving the city and entering the countryside. Once in Sintra, I had to choose which of the many castles to explore. 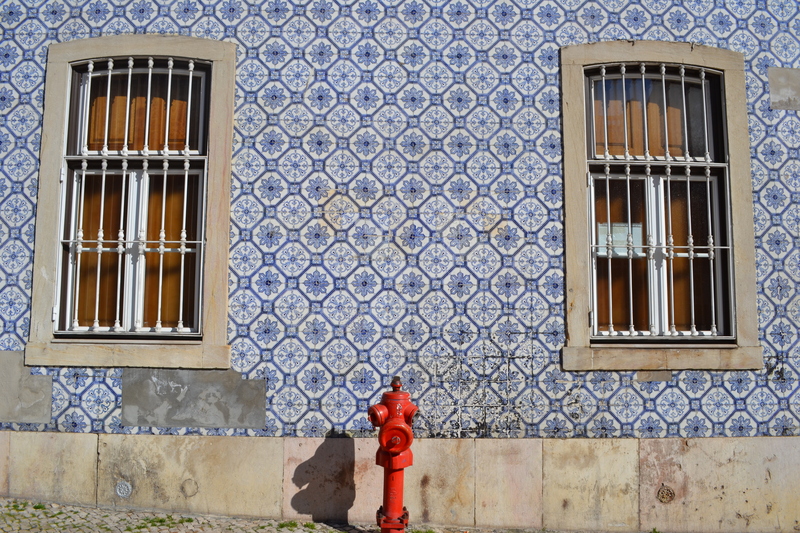 I caught the bus up to the elaborate Palácio da Pena, its style and colours reminding me of Portmeirion, Wales. The site originated as a fifteenth-century monastery, then was rebuilt in the nineteenth century as a royal palace, and has been a museum since 1910. 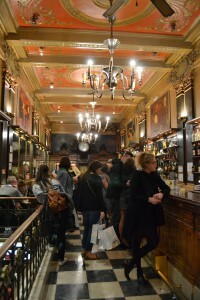 I revelled in the fantasy of the place, and spent a very long time wandering its many rooms. From the parapet, I could see the ramparts of the Castelo dos Mouros, the eighth-century Moorish Castle down the slope. On the descent back into Sintra, the bold chimneys of the Palácio Nacional de Sintra are hard to miss. On the train back to Lisbon, I kept catching glimpses of the Roman aqueduct spanning the landscape. I ended the day with a tram ride out to Belém to watch the sunset behind the Torre. This is the site from which countless ships ventured during Portugal’s historic past. Exiting the tram, I saw what I thought was the royal palace, but turned out to be the extraordinary sixteenth-century Santa Maria de Belém, a monastery. Aiming towards the tower, I strode past the Centro Cultural de Belém, a recently constructed monumental box of a building. Nearby is the Monument to the Discoveries, an oversized statue built in 1960 depicting the lineage of Portuguese explorers. While not to my taste, it’s clear that much has been invested to attract cultural and tourist dollars to Belém. I made it to the Torre de Belém at precisely sunset. Built just offshore in the Tagus River in the sixteenth century, the tower marked the starting point for numerous expeditions out from Portugal. Because of its maritime importance, the Tower was declared a UNESCO World Heritage Site in 1983. No one had mentioned the wide amphitheatre-like steps facing the Tower on shore. I watched the tide change like a symphony, the Tower itself beautiful in its wading stance, resting ankle deep like a moored chess piece. I trudged back into central Belém and had an amazingly good veggie burger on a patio, while watching the line-up at the famous Pastéis de Belém slowly dwindle. I’d been keeping an eye on the mob since my arrival. About half an hour before closing, the line-up was finally manageable. I only waited a few minutes before being handed a Pastéis de Belém, larger, firmer, fresher and warmer than the one I’d had at the Brasileira. It was the right taste to take me back into Lisbon to pack for too-early a flight home the next morning. 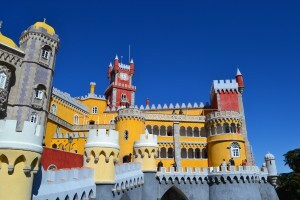 This entry was posted in journal, Travel and tagged Lisbon, Portugal, Sintra on May 11, 2015 by admincj. There’s no such things as bad weather—only bad clothes. This Norwegian saying seems apt, given the Canadian winter we’ve been having. I’ve been donning my heaviest Ottawa gear, layering up each time I set foot outside. Surprisingly, even though it’s much further north, it’s warmer in Bergen. 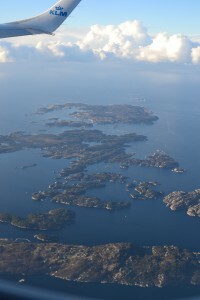 Because Bergen is on the west coast of Norway, it receives the warming effect of the Gulf Stream. 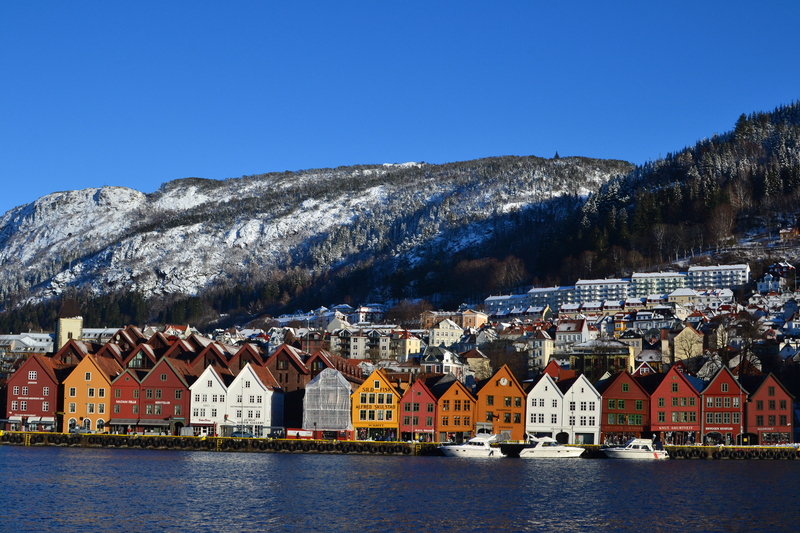 Because Bergen is much further north, and it’s winter, it also has very short days. 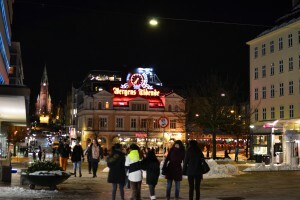 I was in Bergen for a few days over the January-February month change for a conference at the University of Bergen. While the conference itself was a fascinating multidisciplinary international affair, here I’ll focus on the trip itself. Travelling in winter, especially north (who thought that was a good idea? ), with Mercury in retrograde, one should expect travel delays. My flight from Toronto to Bergen via Amsterdam, landed about half-an-hour late. While that doesn’t sound like much of a delay, it made the difference between landing in waning afternoon light and landing in full dark. Thanks to the assistance of a man on the bus, I was able to get off at the correct stop and start walking towards the University. Have you ever tried navigating an unfamiliar, steeply hilled, medieval city, at night, with slushy snow descending onto cobblestones? No? Well, I wouldn’t recommend it. Such cities emerged organically, so streets meander at odd angles, and signage is sometimes scarce. Walking uphill, on slippery snow, over rounded cobbles, with the extra weight of my knapsack, I kept telling myself, you must not fall! I was glad that the steepness of many sidewalks was acknowledged by adjacent metal handrails. After much effort, and many questions to other pedestrians, I found the conference site; unfortunately, by this time, it had been abandoned in favour of dinner. After further lost stumbling, walking uphill both ways, I found my hotel. Phew! 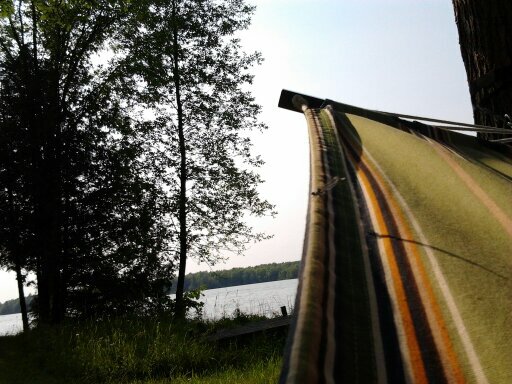 I was glad to relinquish my luggage and have a hot shower. Looking at the conference schedule, I realized that I could still make it to dinner. Exhausted, I had a cab to take me to the foot of Mount Fløyen so I could catch the Fløybanen funicular railway up to the mountaintop restaurant. The ride takes about seven minutes and includes three stops. Impressive! While I could see that there were spectacular views from this height, a howling wind was driving snow into my face, so it hardly seemed a time to take photos. I was glad to get inside the lovely Nordic restaurant, complete with fireplaces and light wood finishing, where I met up with my compatriots for some pleasant dinner conversation. I was also glad to meet someone else staying at my hotel, so we could help each other get back to home base. Saturday morning, she and I met at breakfast (included with hotel accommodation) and wound our way up the hill towards the University. It was my first look at the city in daylight and it was awesome. Classic Nordic, with the old city nestled between mountains. It was still overcast, and barely daylight, and I spent the rest of the day indoors at the conference. 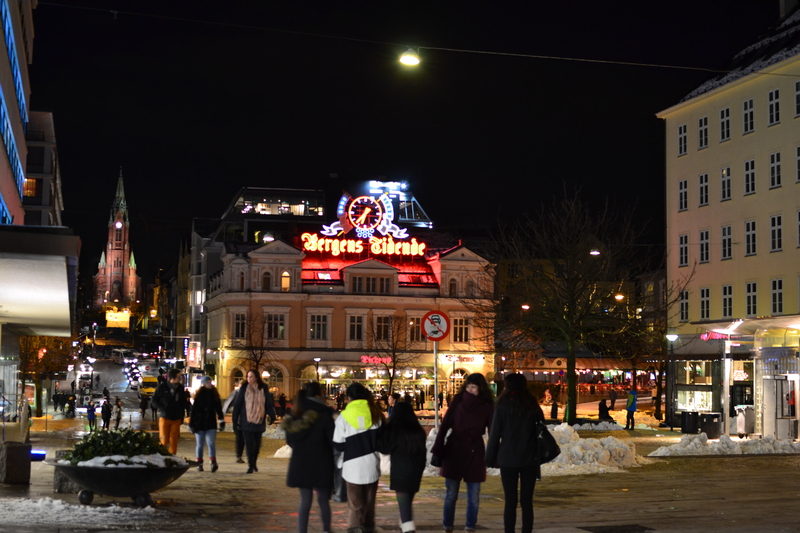 That evening, however, I ventured out with a couple of colleagues, one of whom had been in Bergen for several days and had discovered the secret of navigating the downtown. If one walks a couple of blocks in the right direction, one emerges from the cramped and vertical medieval streets, out onto an open pedestrian boulevard, offering lovely views and easy access throughout the city. We had dinner in the amazing Bryggen district, the historic waterfront. Sunday morning—I slept in. But once underway, I had a wonderful day of sightseeing. I started by wandering the length of the Vågen, the harbour that cuts deep into downtown Bergen, on the same side as my hotel. I finally found what I was looking for: the Hekse Steinen, or Witch Stone. 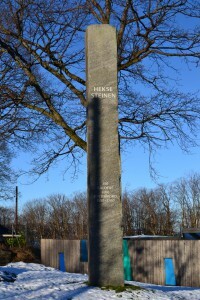 This memorial was dedicated in 2002 to the memory of the 350 witches burned during the Norwegian witch trials. 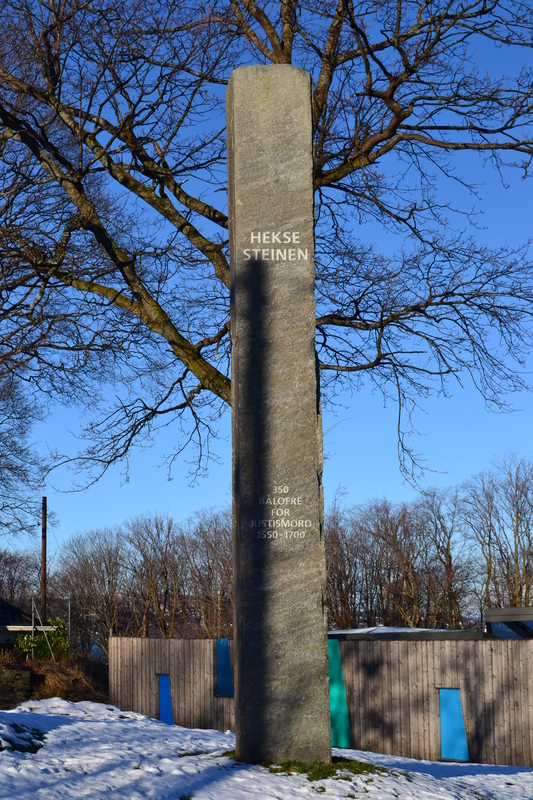 Anne Pedersdotter and others were executed in Bergen, at this stone’s location, but it marks the memory of others who met similar fates throughout Norway, especially during the Finnmark trials further north. The inscription translates as: 350 bonfire victims to miscarriage of justice 1550-1700. I spent the rest of the day wandering around the old downtown. 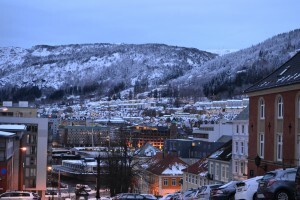 Bergen was pronounced a city by King Olaf III in 1070. Although part of the wharf dates to 1100, it wasn’t until about 1360 that it was developed as a trading centre by German Hanseatic League merchants. Merchants developed the city and the wharf, but in 1754, the area was transferred back to Norway. 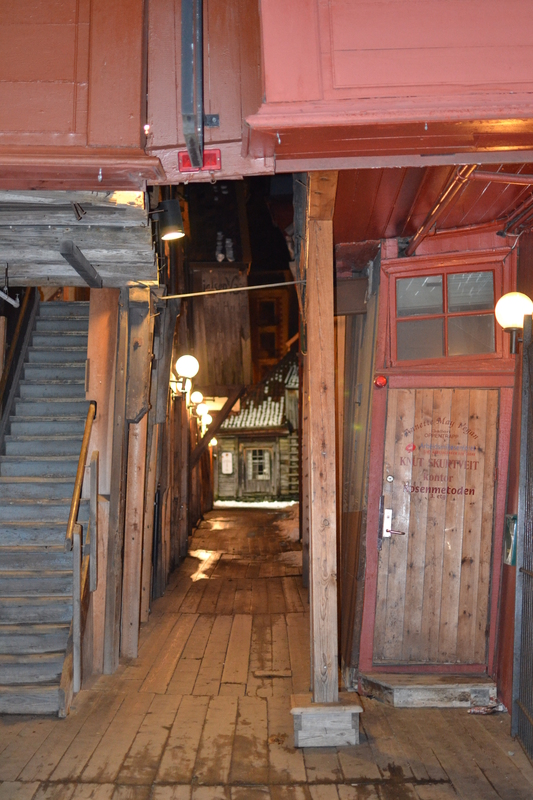 The buildings of the Bryggen, or wharf, are all wooden, which unfortunately has led to many fires—but they keep rebuilding. The great fire in 1702 seems to have done the most damage, but the most recent was in 1955. This dramatic history is notable in the profusion of visible fire fighting hoses, visible charring on the sides of some buildings, and information posted on one building currently under renovation. In 1979, the Bryggen was declared a UNESCO World Cultural Heritage site. 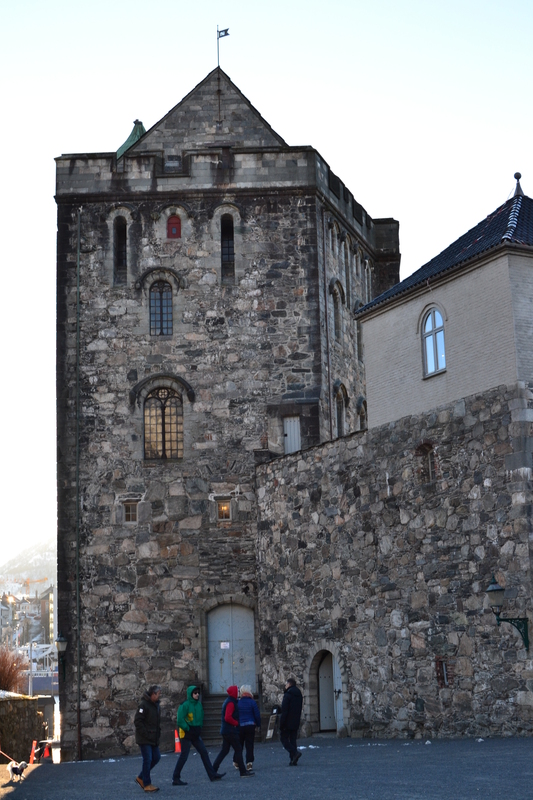 Further along this side of the Vågen lies the Bergenhus (Bergen Fortress or Castle), which includes the Rosenkrantztårnet (Rosenkrantz Tower) and Håkonshallen (Håkon’s Hall). Håkonshallen was built in 1261 by Håkon Håkonsson in celebration of his son’s coronation and wedding, although it has seen many purposes over the centuries. While part of the Rosenkrantztårnet dates to the same period as the Håkonshallen, the existing tower was added in 1560 to enhance the city’s defenses. While there were other activities and museums I had considered visiting, by this time, the short day was winding down. I stopped for an early supper at Dickens, took a few more retreating pictures, then returned to the hotel to pack for my morning flight. I got to the Flesland airport in good time for my 10:15 a.m. to Amsterdam. Unfortunately, due to freezing rain and/or hail in the Netherlands, the incoming flight was delayed, and so there was no plane to take passengers back to Schiphol airport. My 10:15 was delayed until noon, meaning that I touched down in Amsterdam at 1:25 p.m., exactly when my flight was leaving for Toronto. Unfortunately, that was the flight for the day. KLM did, however, manage to get me home. After a three-and-a-half hour layover in Amsterdam, I boarded a flight to Atlanta, Georgia. While catching up on movies en route, I watched wistfully as Toronto passed by below, thinking that I should perhaps request a parachute. When I arrived at Hartsfield-Jackson Atlanta International, I had only half an hour to clear US customs, clear US security, and get to another gate via the Plane Train, in what is reputed the be the world’s biggest and busiest airport! I made it—just as last few passengers were boarding! Point-to-point, I was travelling for 25.5 hours, arriving home on one of the last subway trains at 1:25 a.m., rather than 4:30 the previous afternoon. 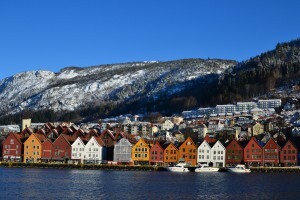 So, Bergen was an adventure, perhaps a little more of an adventure than I’d planned, but definitely an adventure worth having. 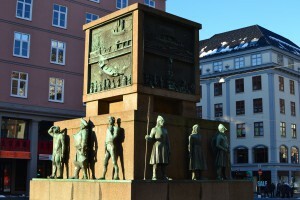 This entry was posted in Academic, journal, Travel and tagged Bergen, Bryggen, Fløyen, Hekse Steinen, Norway, winter, Witch memorial on February 21, 2015 by admincj.